Used for Close Clearance Applications Between Flat Panel and Wall. 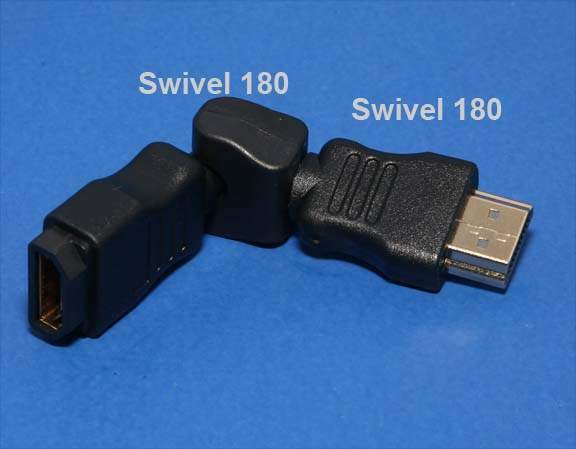 Allows usage of Heavy HDMI Cables without snapping off the connectors or putting additional stress on the Cable causing assorted Problems. Swivel #1 180 Degree Swivel. Swivel #2 180 Degree Swivel.